The 40mm Perfect Fit Harness girth section is suitable for those that already have the 40mm Perfect Fit Harness and require this section only. 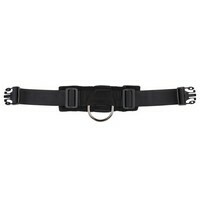 The 40mm Perfect Fit Harness Front and 40mm Perfect Fit Harness Top sections are also available separately. Perfect Fit Harnesses are ideal for any dog of any age. They offer a great deal of adjustment, which allows for your dogs physical development.